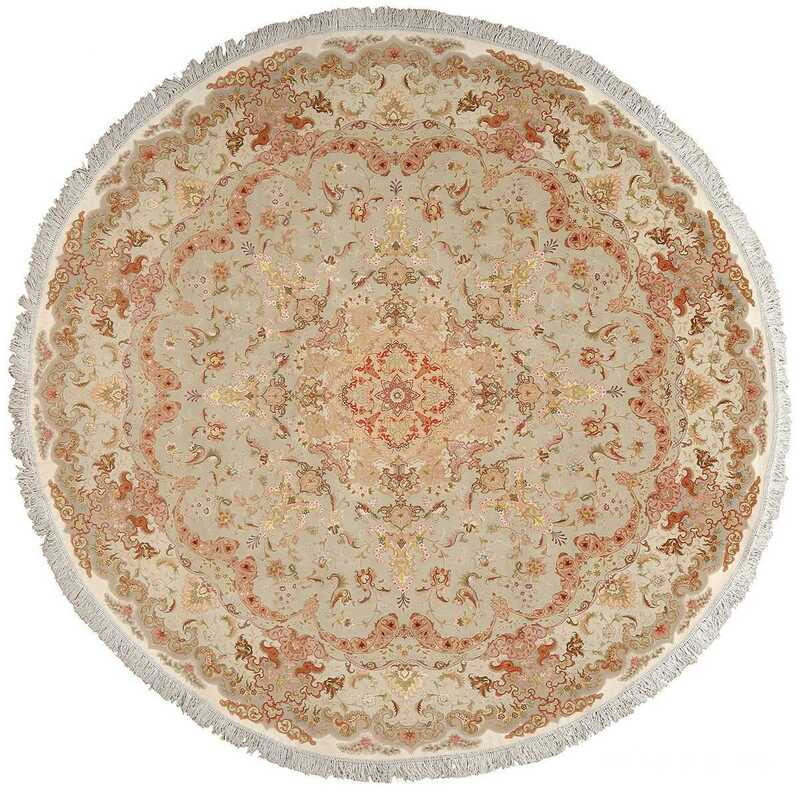 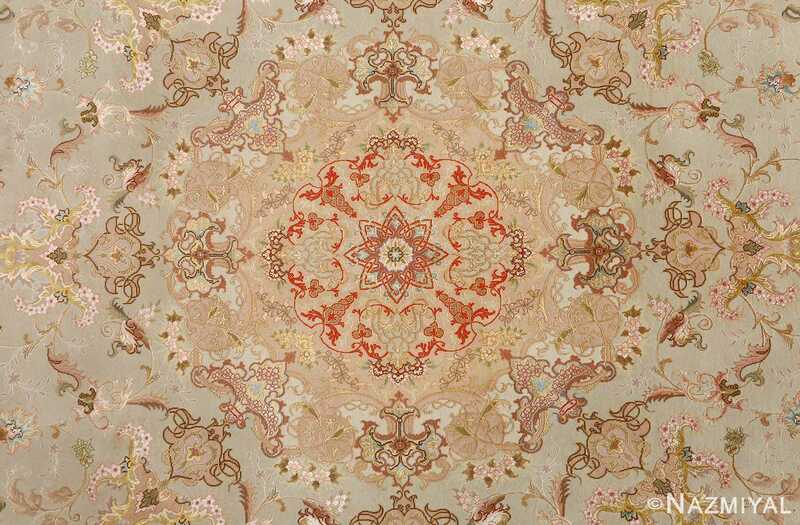 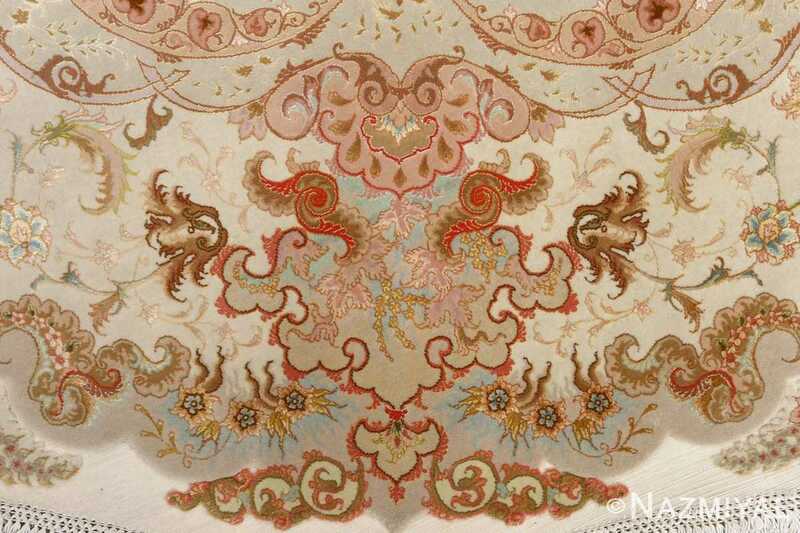 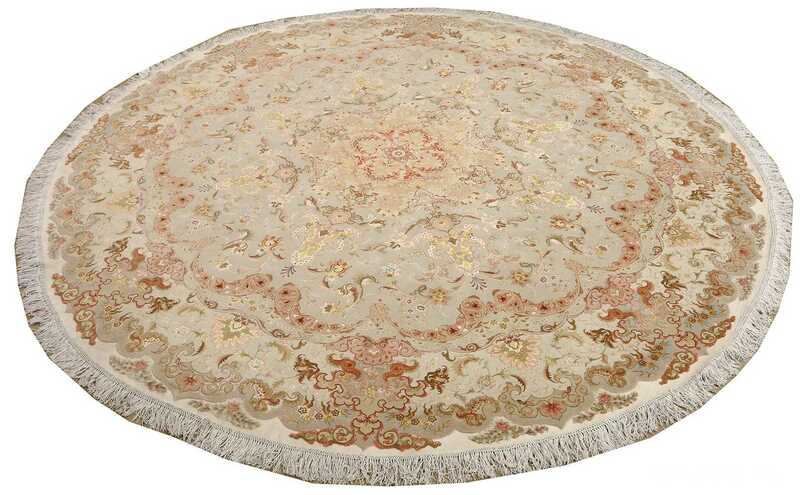 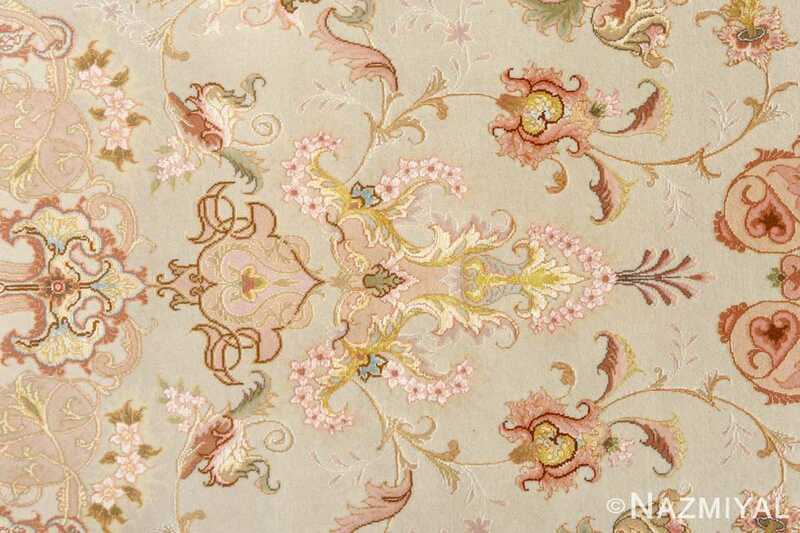 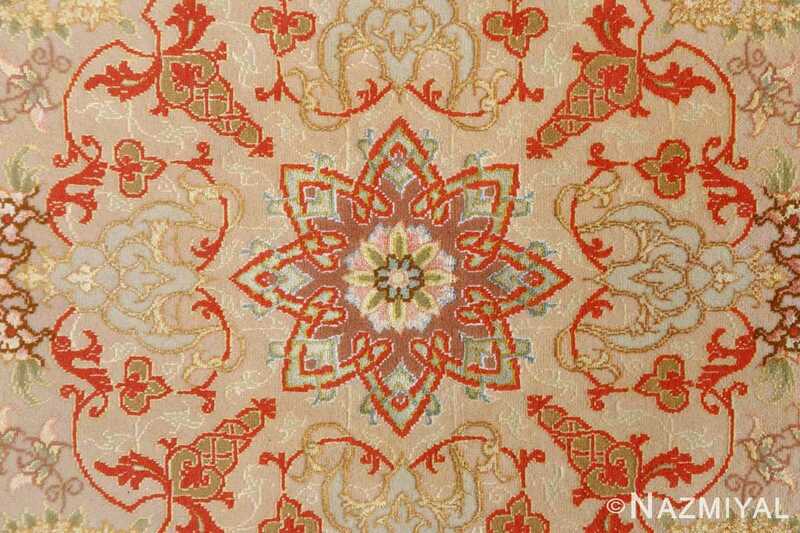 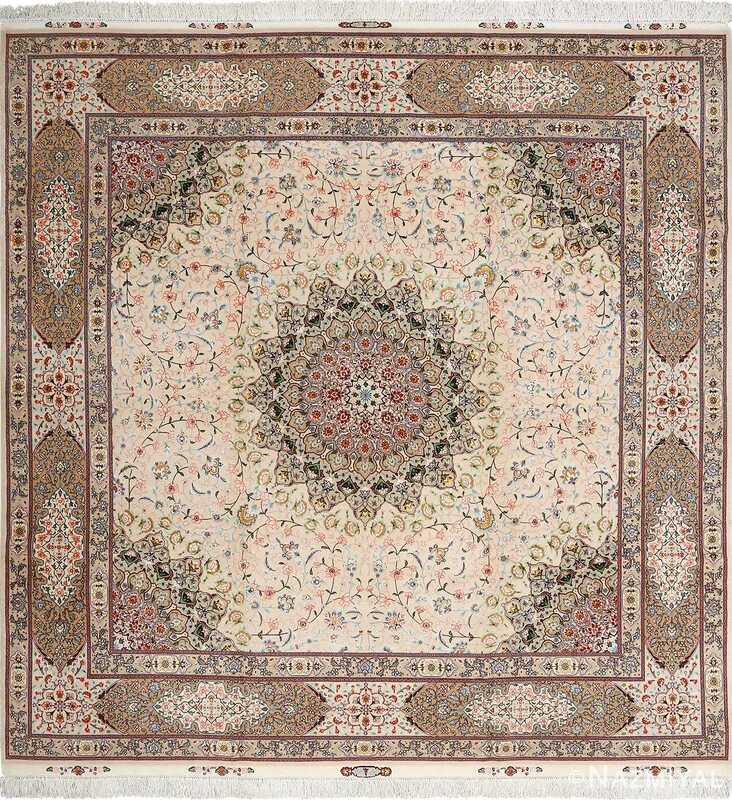 Intricate Round Fine Vintage Tabriz Persian Rug 51133, Knots Per Square Inch KPSI: 650, Country of Origin / Rug Type: Vintage Persian Rug, Circa Date: Mid-20th Century – Through the masterful use of subtle shading, this sophisticated vintage Persian Tabriz rug creates the illusion of depth and dimension. 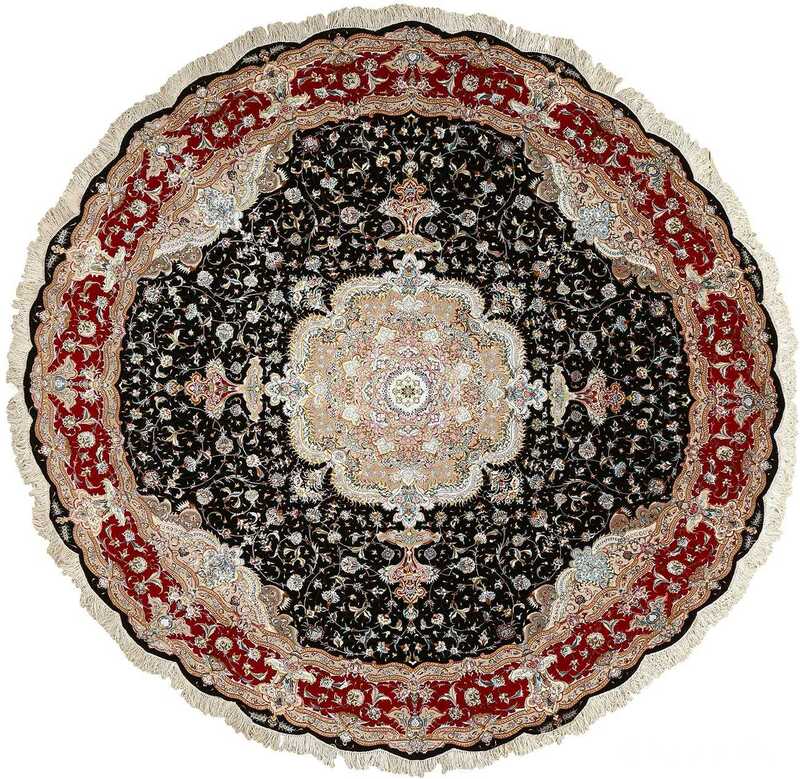 Numerous motifs at the foreground stand to define the vintage Persian rug, and the artist’s clever use of contrasting forms and skillfully placed darker tones establish shadows that tantalize the viewer’s eyes. 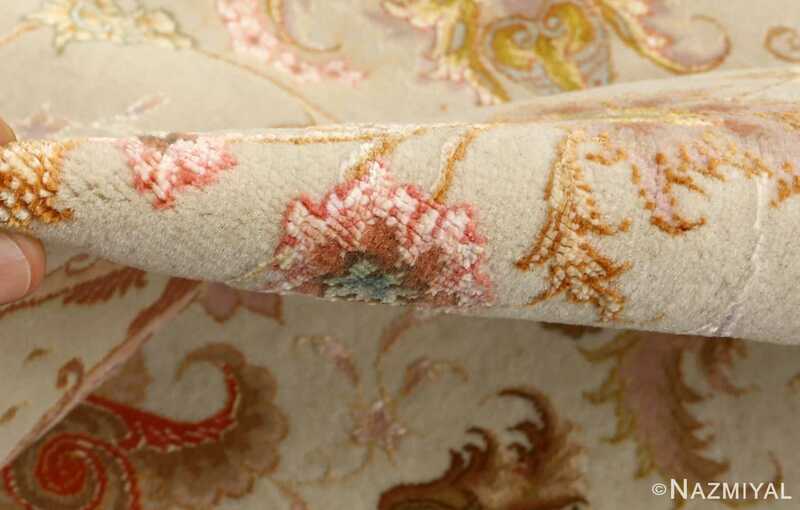 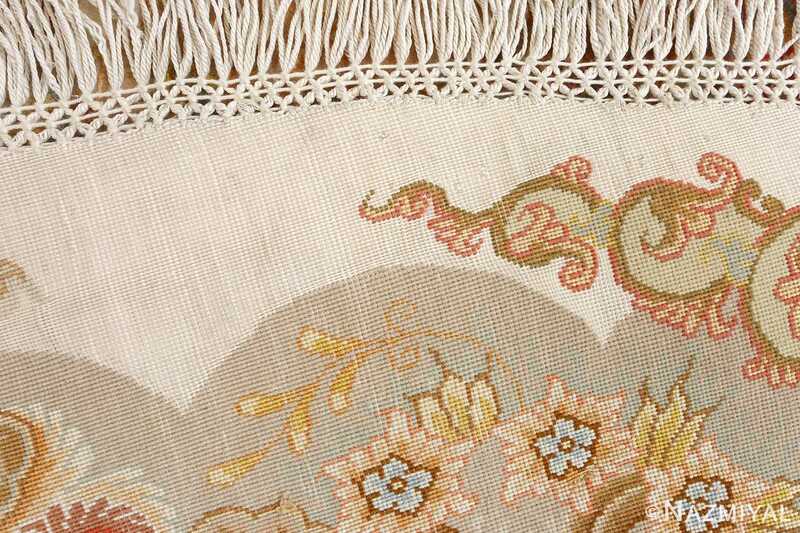 Combined with the natural texture of the rug’s material itself, there is much to look forward to within the vintage rug’s details. 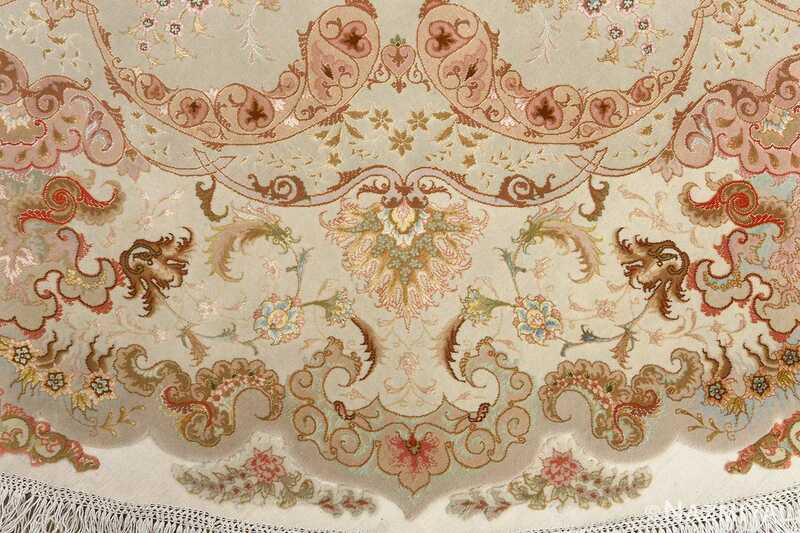 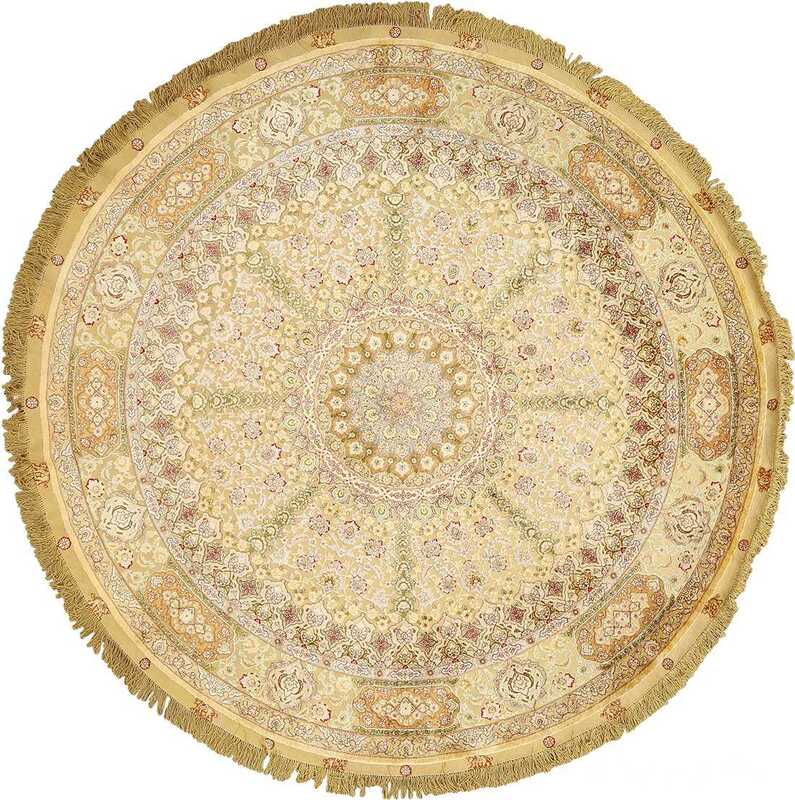 Several borders frame around each other, leading the viewer’s eyes inward to the delicate blossom at the very center of the fine Persian round rug, which is meant to act as both a focal point and as a unifying element for the other motifs throughout.